For credit unions, offering members a digital and mobile banking experience has never been more accessible. 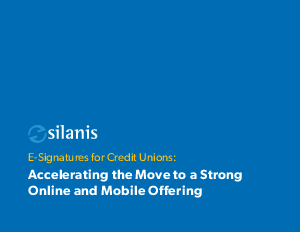 This 29-page ebook shows you how to use electronic signature technology to improve the member experience (both in-branch and online), improve regulatory compliance and compete with big banks. If you think e-signing is only for large organizations, you will be surprised with how easy it is to get started with electronic signatures. You can actually start with no IT effort and as little as $15 per month.